Zip enclosures for hands keeps fingers protected and out of elements. Durable feet sections zip off for easy cleaning & movement. 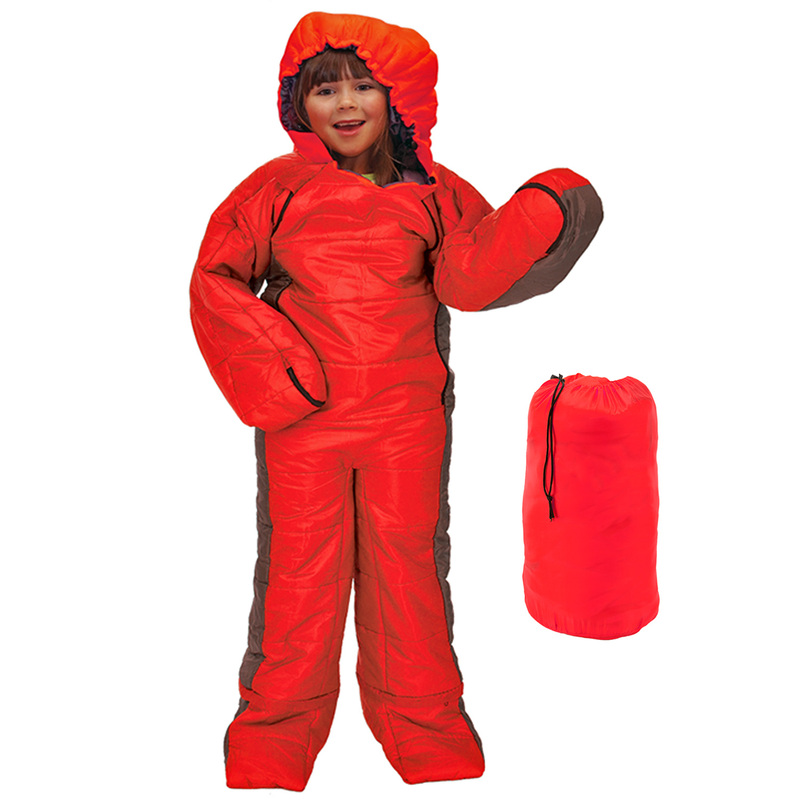 The Summit Motion Sac "Wearable" sleeping bag features zip opening hands and feet, and a handy drawstring hood, offering maximum mobility and comfort. Motion Sacs will transform your level of comfort during colder months, while outdoors, or even indoors! This revolutionary sleeping bag is suitable for night-time fishing, star-gazing, festival going, or camping or where movement is a priority. Sprawl out, curl up or lay in. Comes with a stuff sack for easy storage and transportation.